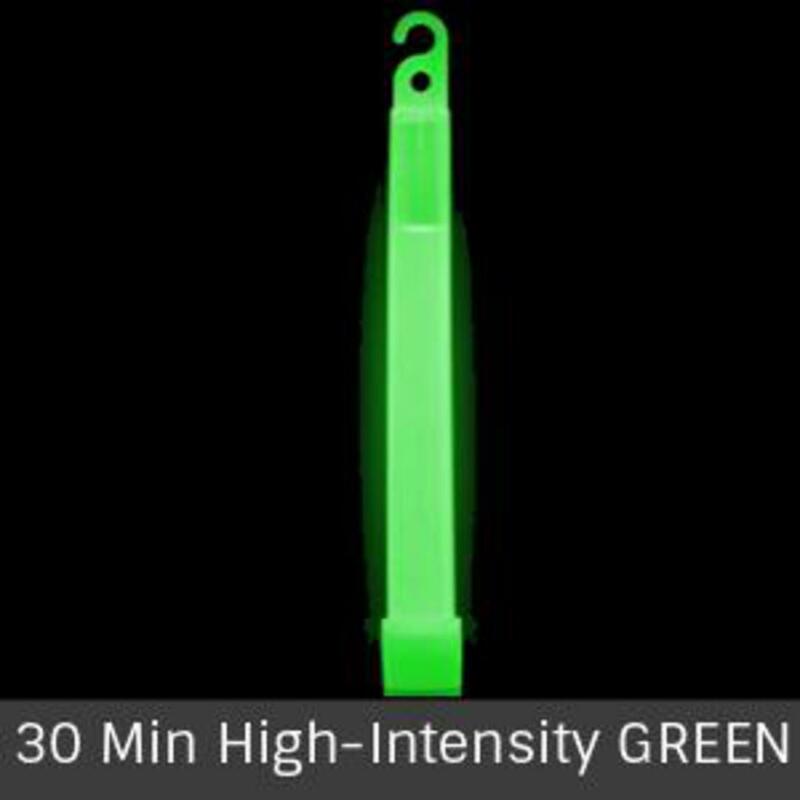 6 Inch High Geen Intensity 30 Minute Glow Sticks are a high intensity glow stick that glows super bright for 30 minutes. These special glow sticks are uniquely formulated to glow brighter than a standard glow stick. 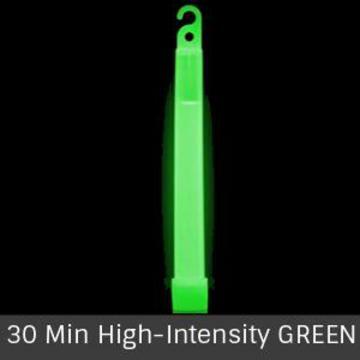 High Intensity Glow Sticks are used as safety markers, emergency flares or for any use where you need an intensely bright and safe light source for a limited amount of time! Our High Intensity 6 inch glow sticks have been used for military operations and are even used for glow stick dancing and glow-stringing! All of our glow sticks including the 6 inch High Intensity Glow Sticks are waterproof, don't give off heat, are non-sparking, so whether you're at a dance competition or on military maneuvers, you know our glow sticks will work every time!